We offer commercial support for PITLAKQ. Get expert advise from Dr. Müller about PITLAKQ. Packages start at one hour. If remote advise is not enough, get an in-house training with pit lake modeling expert and PITLAKQ creator Dr. Müller. 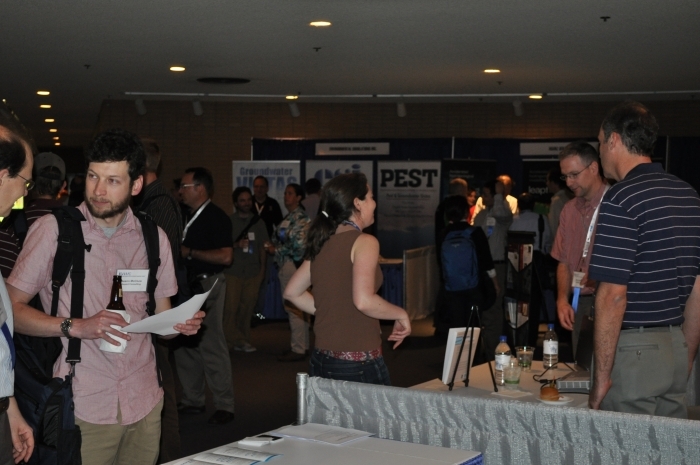 Join us for 2-day PITLAKQ Workshop August 4 and 5, 2013 at IMWA 2013 in Golden CO, USA. The workshop details explain what you will learn. Learn how to use PITLAKQ in our workshop on pit lake modeling during the IMWA 2012 in Bunbury, Western Australia. We will present a poster about hydro-geo-chemical modeling with PhreeqPy at the EuroSciPy 2011 conference August 25 - 28 in Paris. We will present a talk at the ModelCare 2011 conference in Leipzig, Germany September 18 -22, 2011. 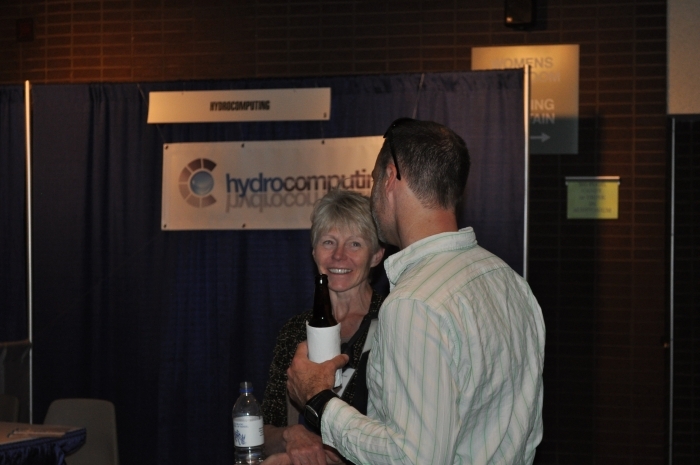 We gave a well-attended Python Tutorial on June 3 to June 5, 2011 at MODFLOW and More 2011 conference in Golden, CO, USA. 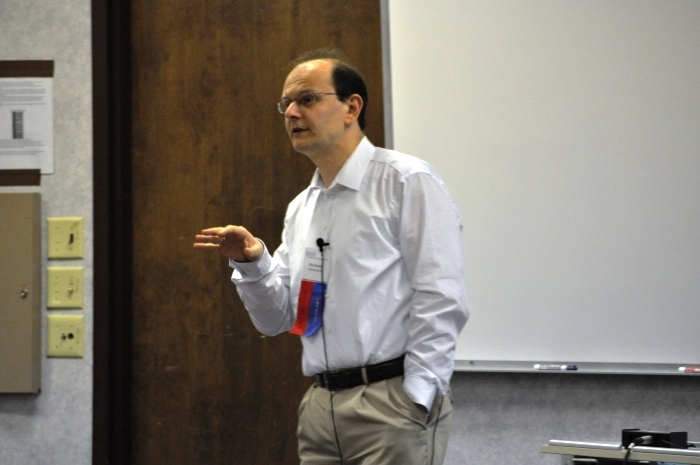 Our talk about PhreeqPy "Programming PHREEQC Calculations with C++ and Python A Comparative Study" MODFLOW and More 2011 in Golden, CO, USA, Wednesday June 8, 2011 was well received by the audience. 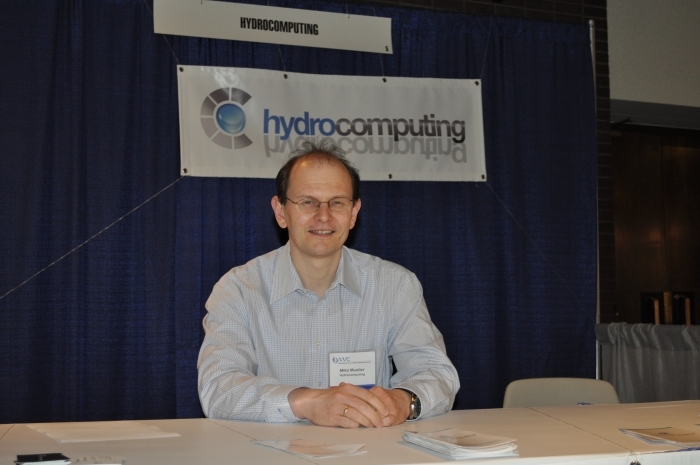 hydrocomputing, presented two talks at IMWA2010.